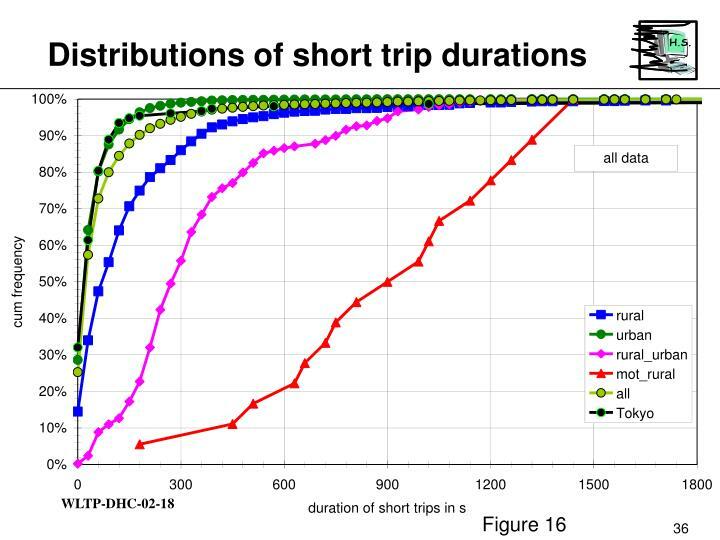 Duration distributions of short trips and idle time periods. 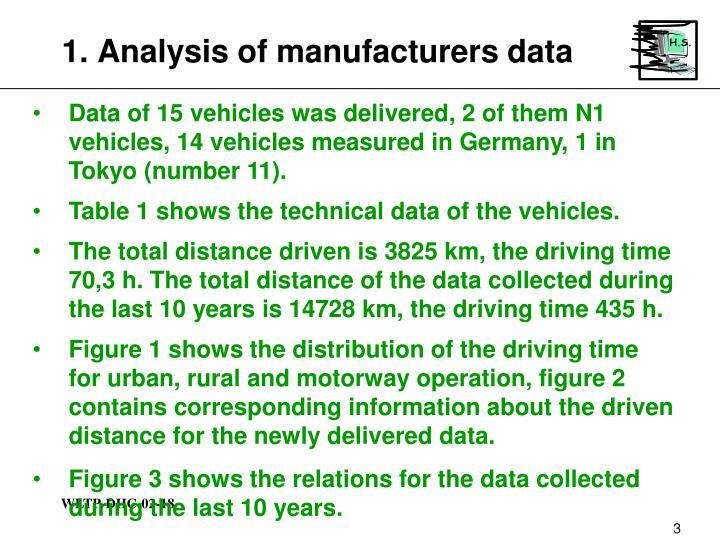 Data of 15 vehicles was delivered, 2 of them N1 vehicles, 14 vehicles measured in Germany, 1 in Tokyo (number 11). 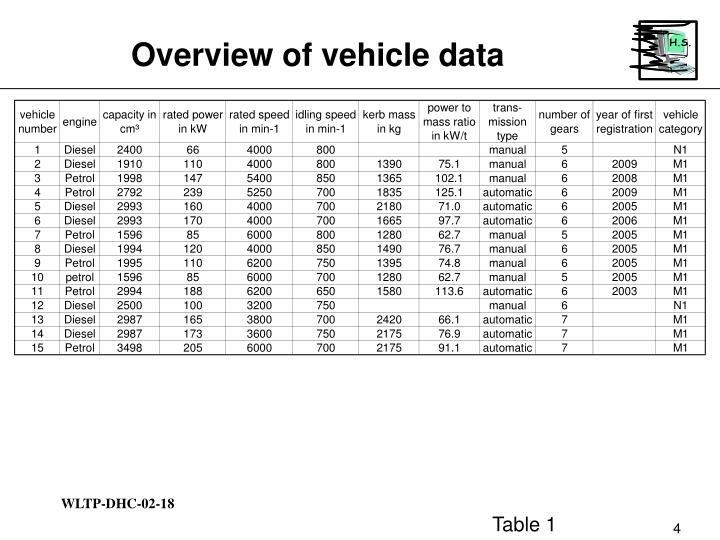 Table 1 shows the technical data of the vehicles. 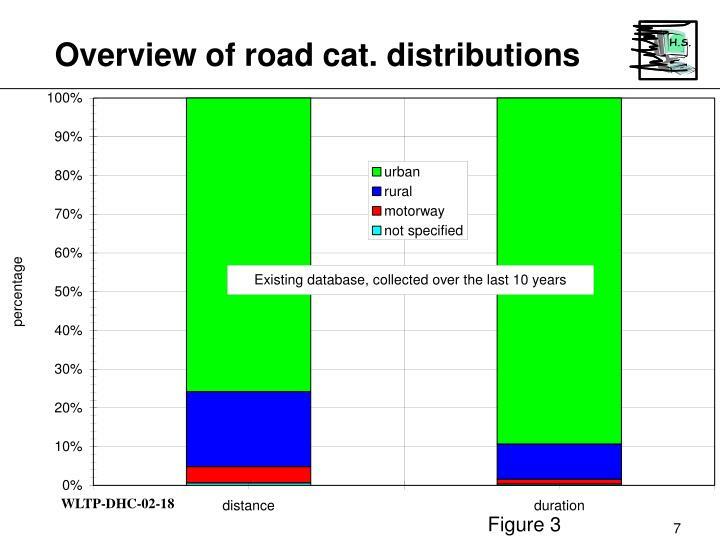 The total distance driven is 3825 km, the driving time 70,3 h. The total distance of the data collected during the last 10 years is 14728 km, the driving time 435 h.
Figure 1 shows the distribution of the driving time for urban, rural and motorway operation, figure 2 contains corresponding information about the driven distance for the newly delivered data. Figure 3 shows the relations for the data collected during the last 10 years. 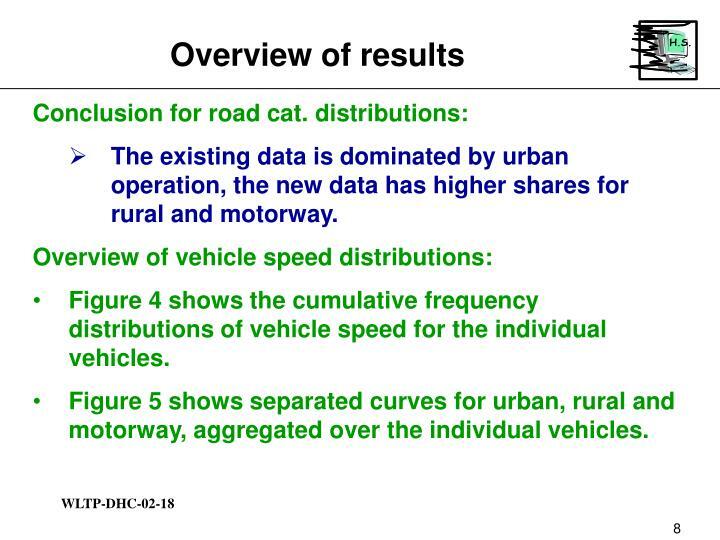 The existing data is dominated by urban operation, the new data has higher shares for rural and motorway. 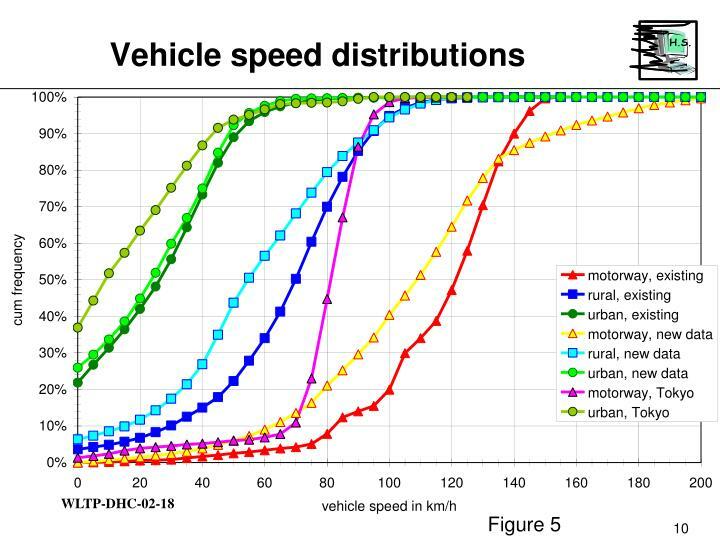 Figure 4 shows the cumulative frequency distributions of vehicle speed for the individual vehicles. 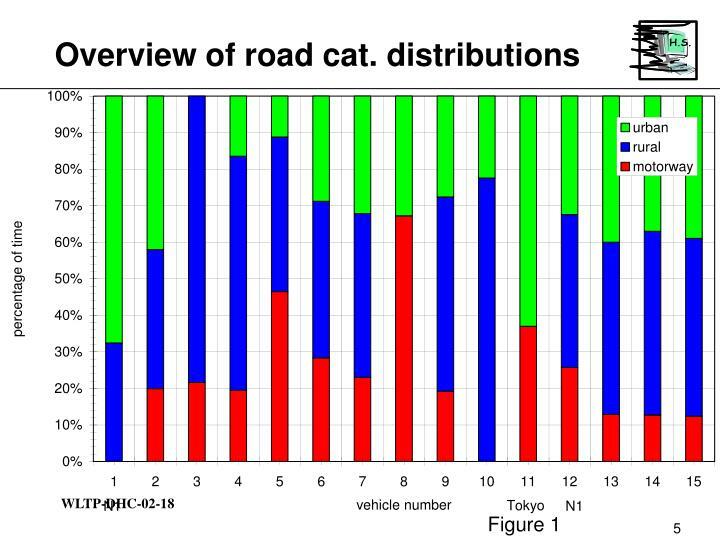 Figure 5 shows separated curves for urban, rural and motorway, aggregated over the individual vehicles. The new data show no significant difference to the existing data for urban operation. 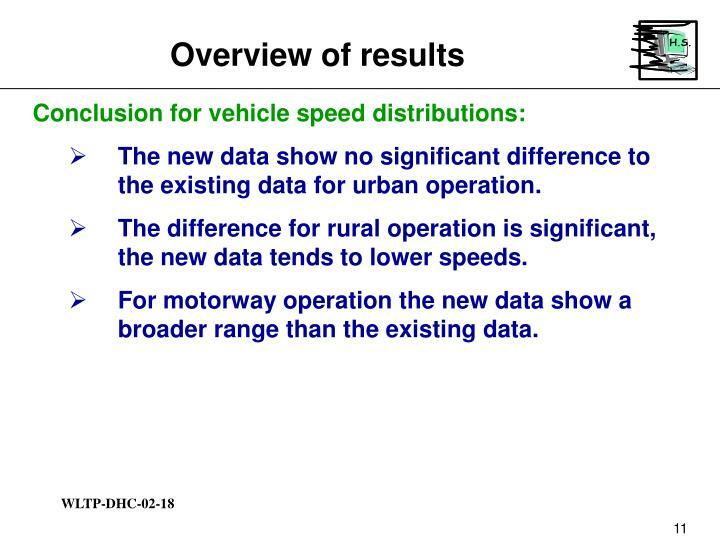 The difference for rural operation is significant, the new data tends to lower speeds. 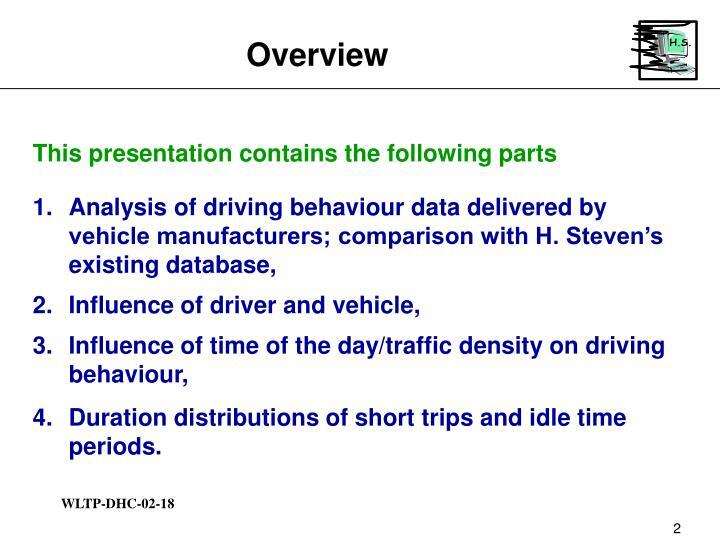 For motorway operation the new data show a broader range than the existing data. 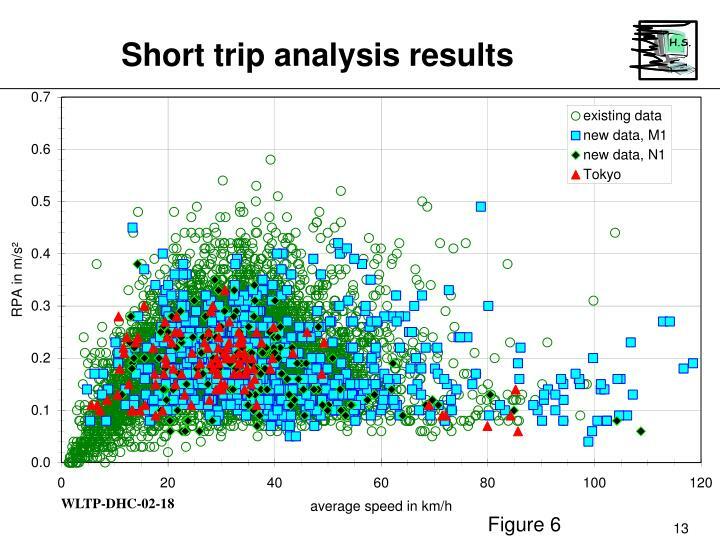 Figure 6 shows a comparison of the RPA values of short trips versus average speed. 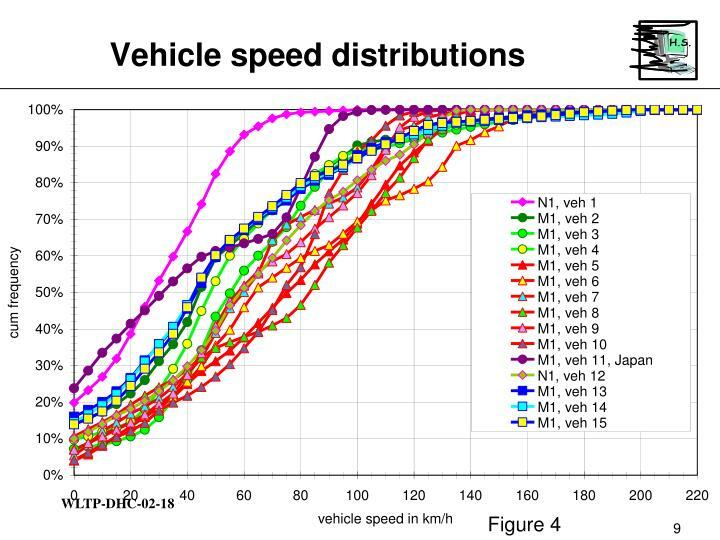 The new data extends the average speed range to operation conditions on German motorways. Except from that there is a good agreement between the new and the existing data. 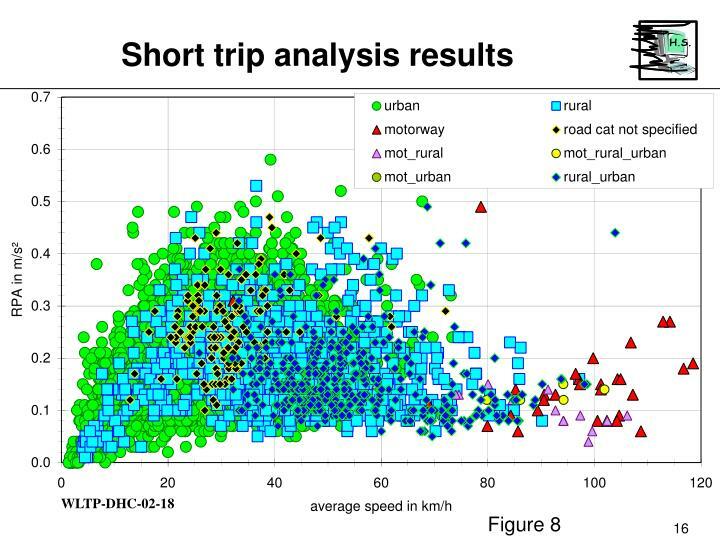 Figure 7 shows the RPA and v_ave values of all short trips (existing and new data), split off into the road categories urban, rural and motorway, as far as this was possible. There is an extremely high overlap between urban and rural. 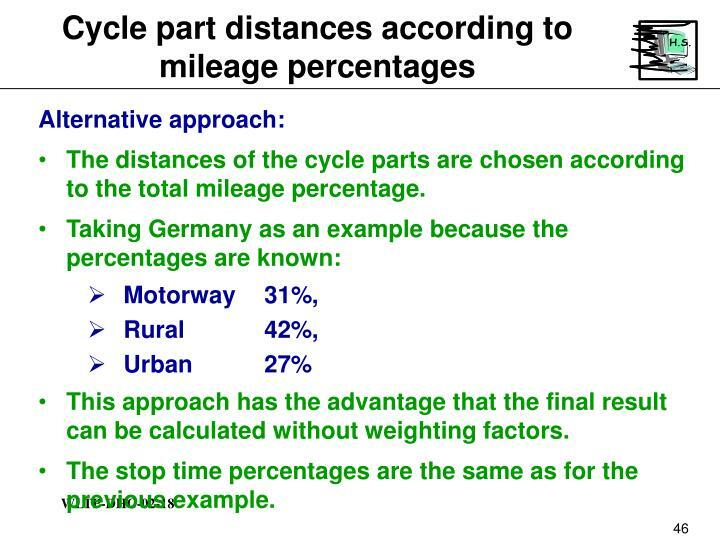 The much less pronounced overlap between rural and motorway might be caused by the low number of motorway short trips. 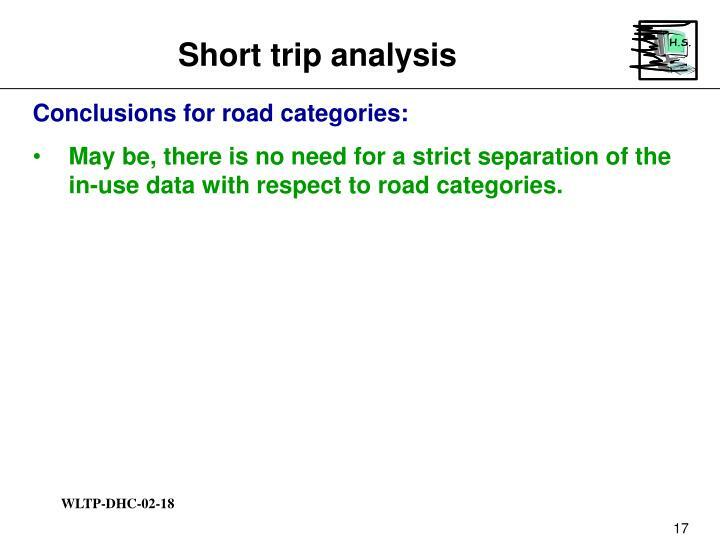 A problem that needs to be discussed is the fact, that a significant number of short trips in the database could not be assigned to one road category only. In figure 8 these “hemaphrodite” short trips are added. 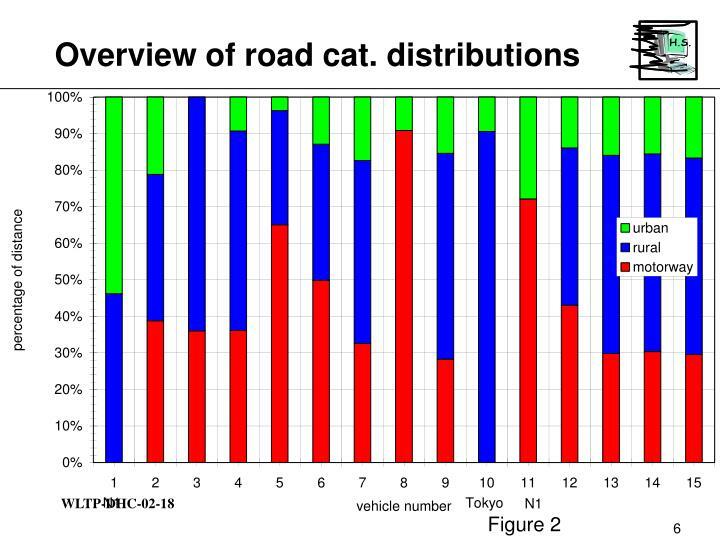 May be, there is no need for a strict separation of the in-use data with respect to road categories. 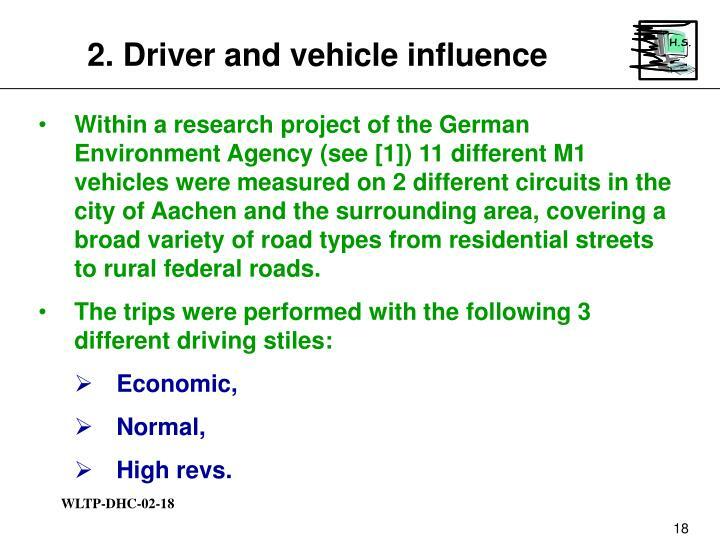 Within a research project of the German Environment Agency (see ) 11 different M1 vehicles were measured on 2 different circuits in the city of Aachen and the surrounding area, covering a broad variety of road types from residential streets to rural federal roads. The vehicle sample varied from low powered subcompacts to high powered sport cars. 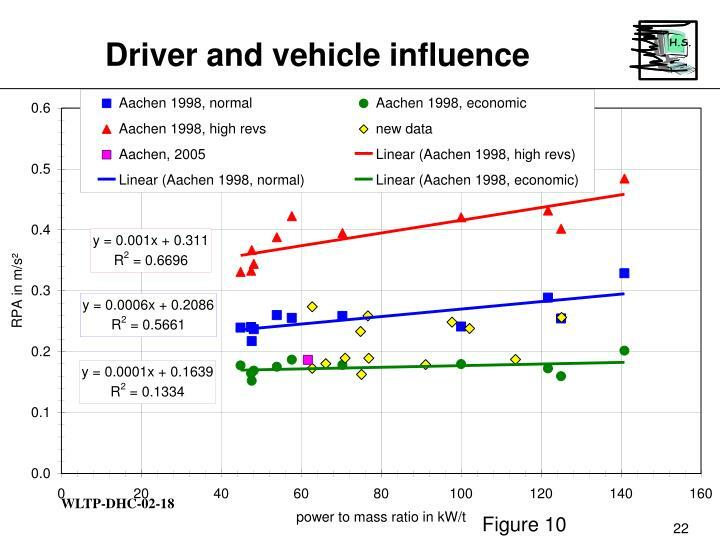 The most important vehicle parameter with respect to driving behaviour influence was the power to mass ratio (pmr, rated power divided by vehicle mass). 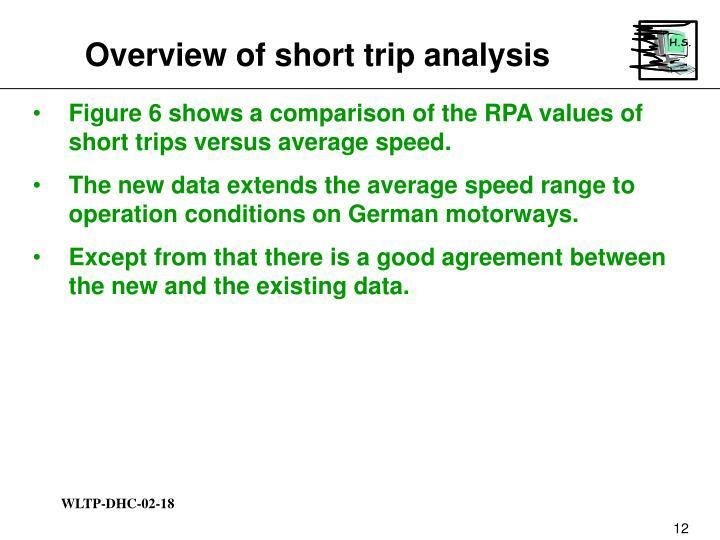 Figure 9 shows the RPA values versus average speeds for the short trips for 3 vehicles. Vehicle 9 has a pmr value of 43,7 kW/t, the pmr value of vehicle 2 is 66,4 kW/t and vehicle 3 has a pmr value of 133,8 kW/t. 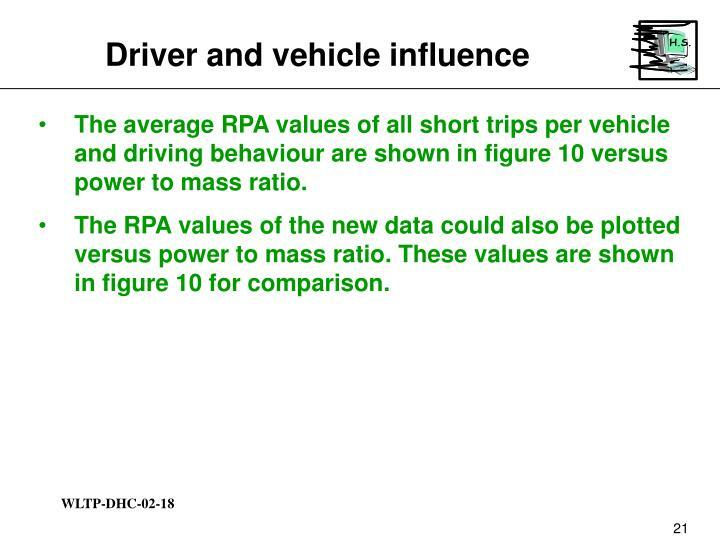 The average RPA values of all short trips per vehicle and driving behaviour are shown in figure 10 versus power to mass ratio. 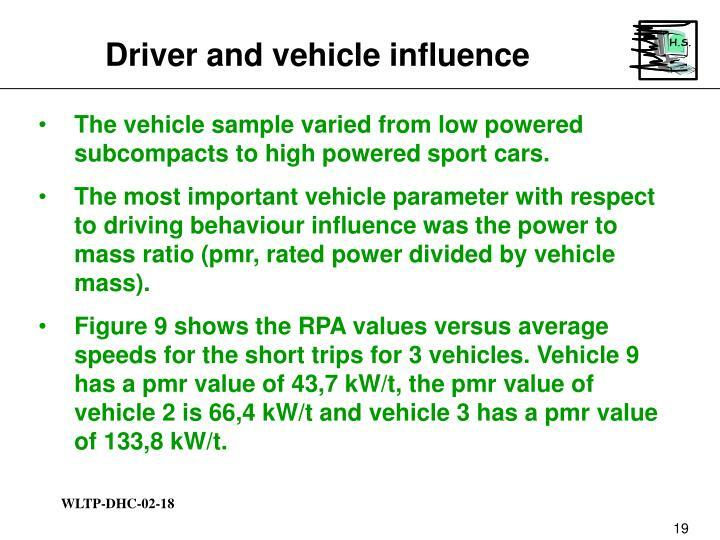 The RPA values of the new data could also be plotted versus power to mass ratio. These values are shown in figure 10 for comparison. 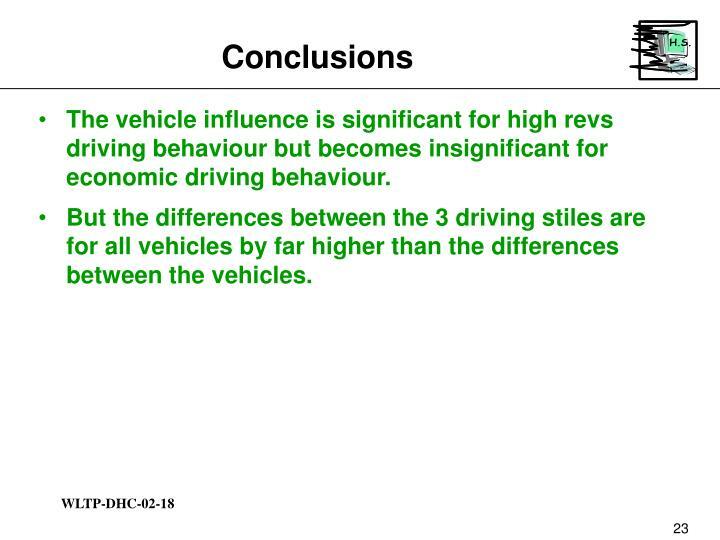 The vehicle influence is significant for high revs driving behaviour but becomes insignificant for economic driving behaviour. But the differences between the 3 driving stiles are for all vehicles by far higher than the differences between the vehicles. 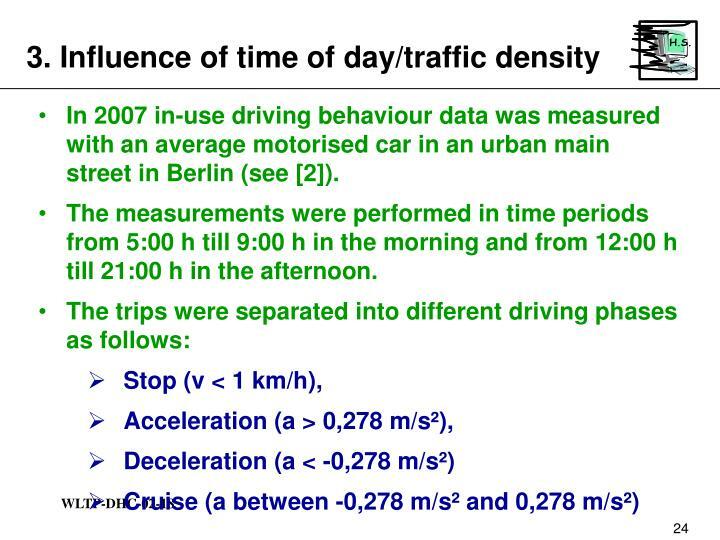 In 2007 in-use driving behaviour data was measured with an average motorised car in an urban main street in Berlin (see ). The measurements were performed in time periods from 5:00 h till 9:00 h in the morning and from 12:00 h till 21:00 h in the afternoon. 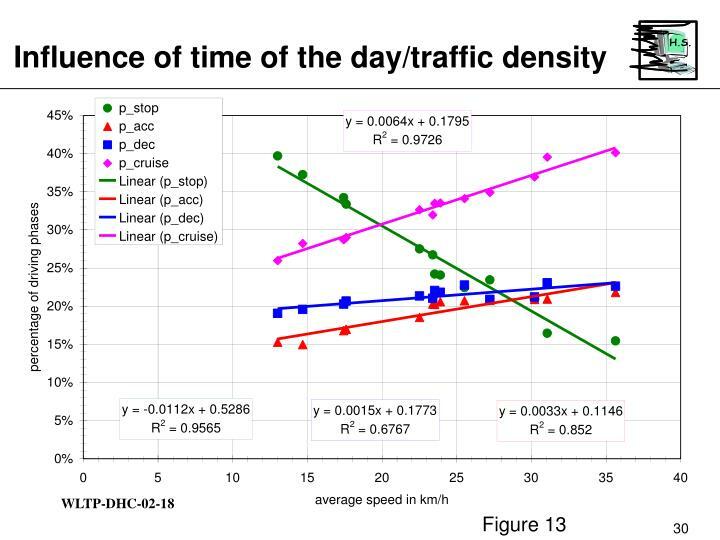 Figure 11 shows the percentages of the different driving phases as function of the time of the day. 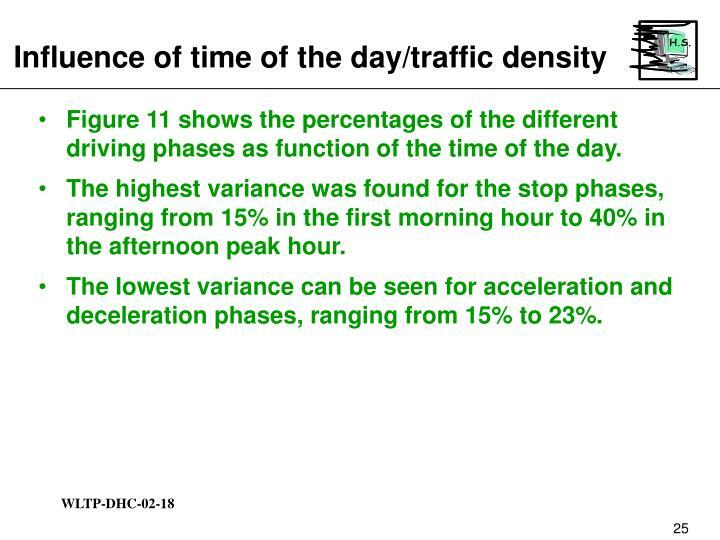 The highest variance was found for the stop phases, ranging from 15% in the first morning hour to 40% in the afternoon peak hour. 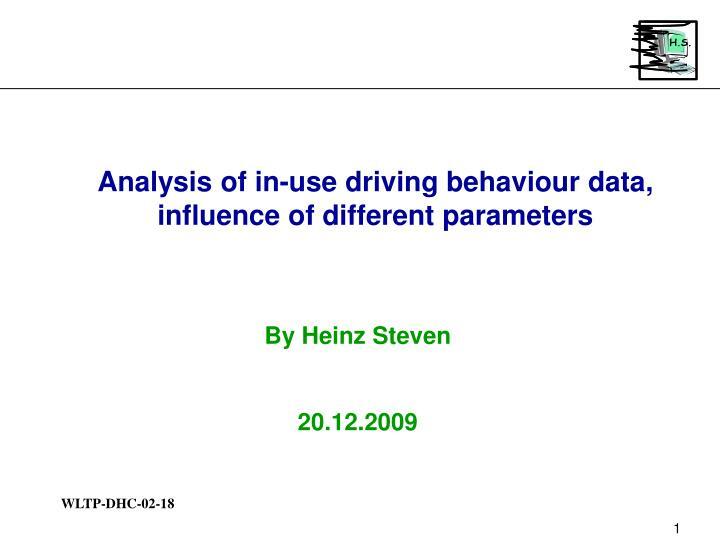 The lowest variance can be seen for acceleration and deceleration phases, ranging from 15% to 23%. 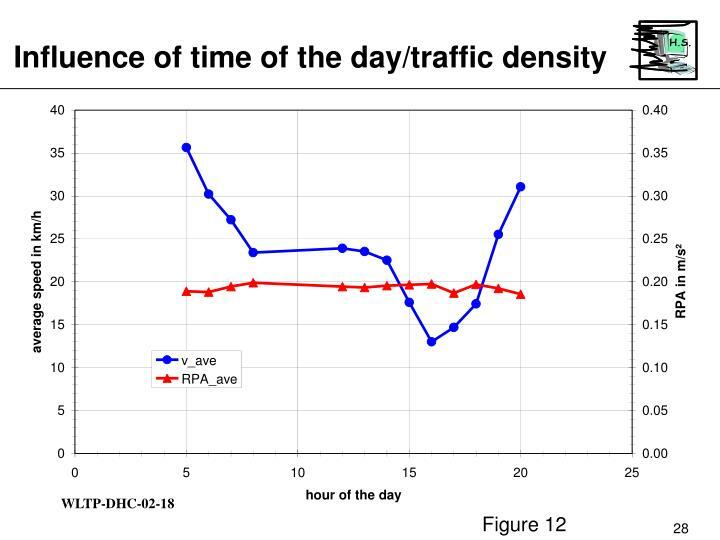 Figure 12 shows the corresponding average speed and RPA values as function of the time of the day. 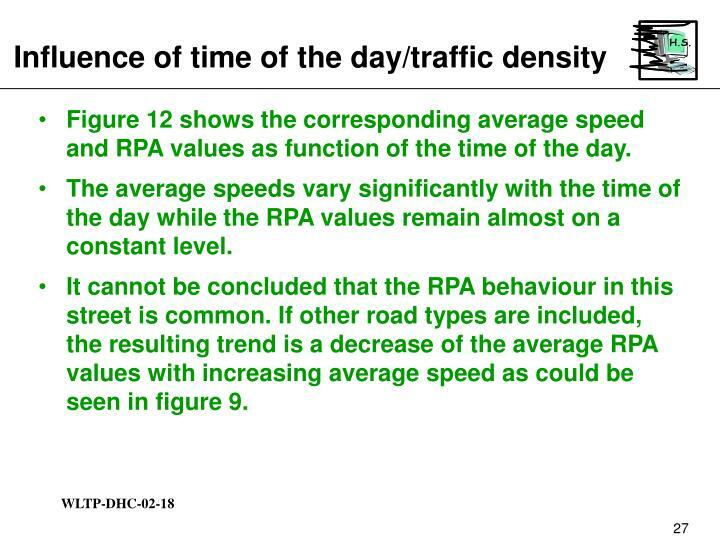 The average speeds vary significantly with the time of the day while the RPA values remain almost on a constant level. It cannot be concluded that the RPA behaviour in this street is common. 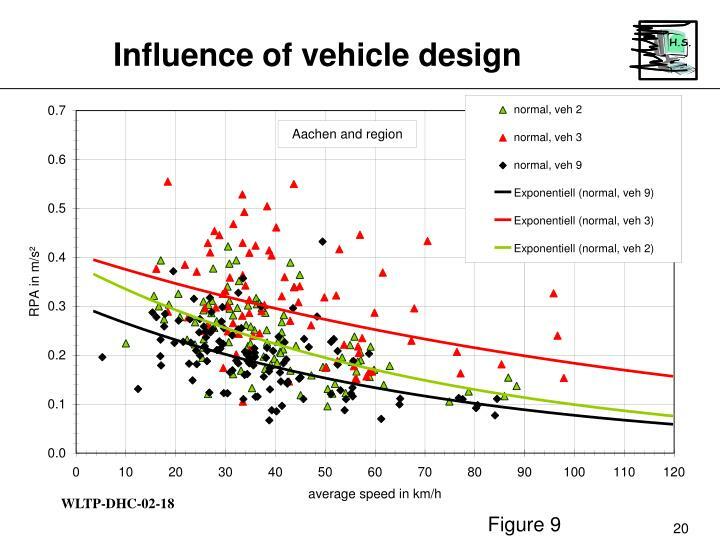 If other road types are included, the resulting trend is a decrease of the average RPA values with increasing average speed as could be seen in figure 9. In figure 13 the driving phase values from figure 11 and the corresponding average speed values from figure 12 are combined in order to examine possible dependencies. 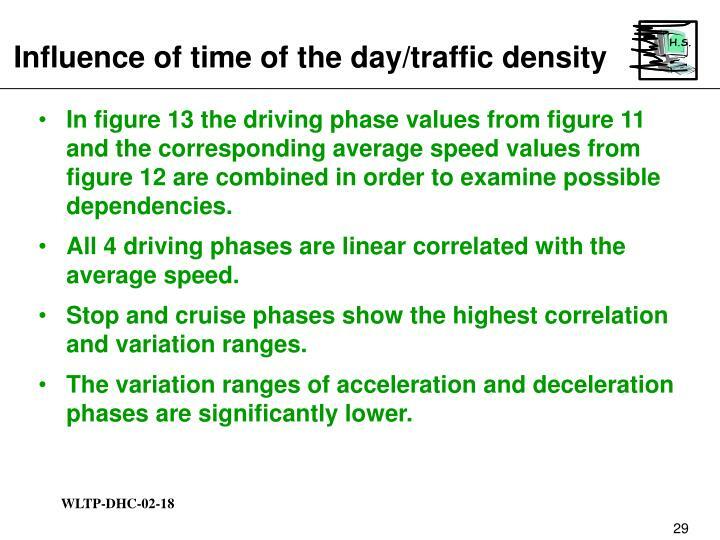 All 4 driving phases are linear correlated with the average speed. 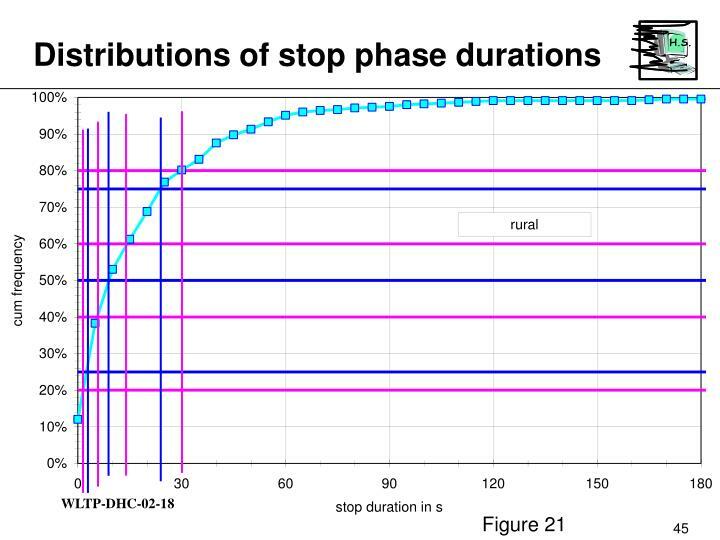 Stop and cruise phases show the highest correlation and variation ranges. The variation ranges of acceleration and deceleration phases are significantly lower. 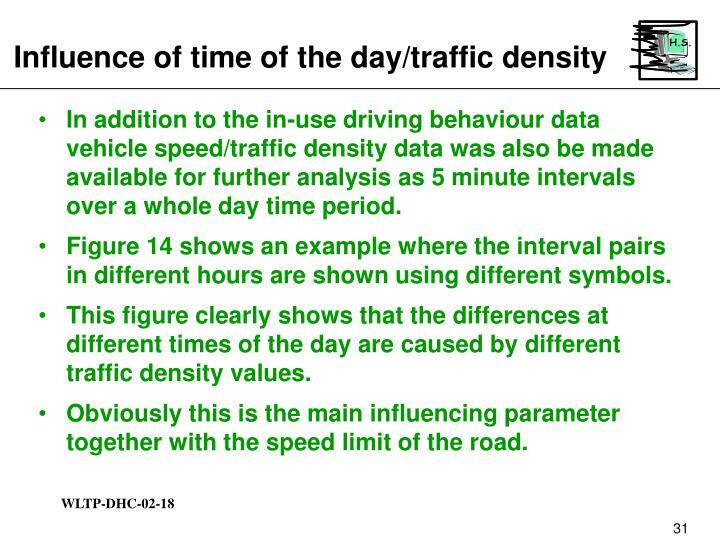 In addition to the in-use driving behaviour data vehicle speed/traffic density data was also be made available for further analysis as 5 minute intervals over a whole day time period. Figure 14 shows an example where the interval pairs in different hours are shown using different symbols. 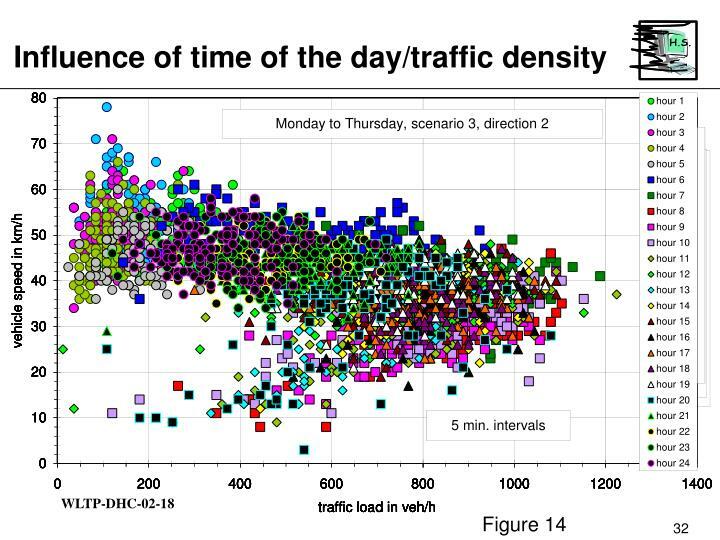 This figure clearly shows that the differences at different times of the day are caused by different traffic density values. 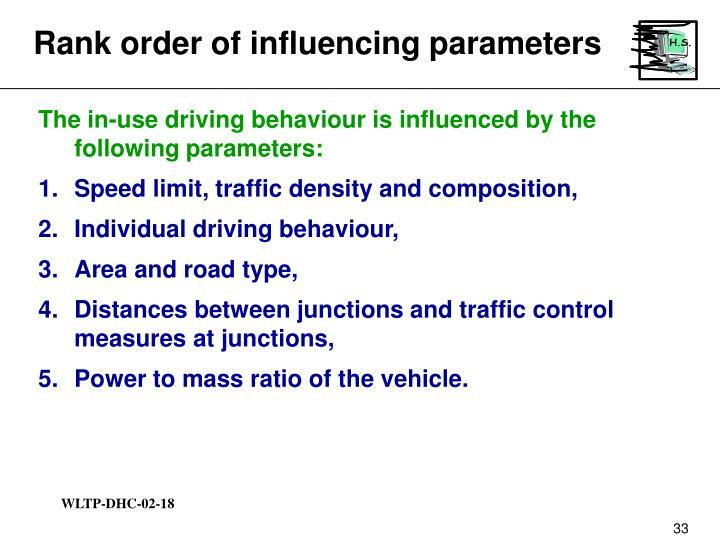 Obviously this is the main influencing parameter together with the speed limit of the road. Power to mass ratio of the vehicle. 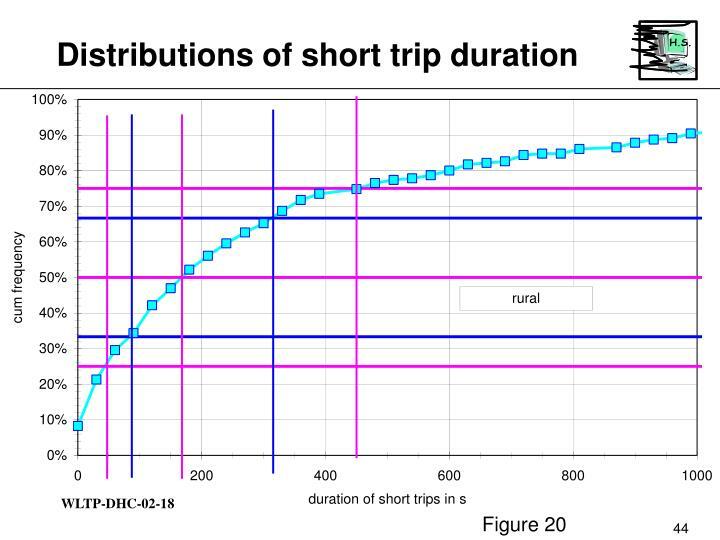 The distributions of short trip durations are shown in figure 15. 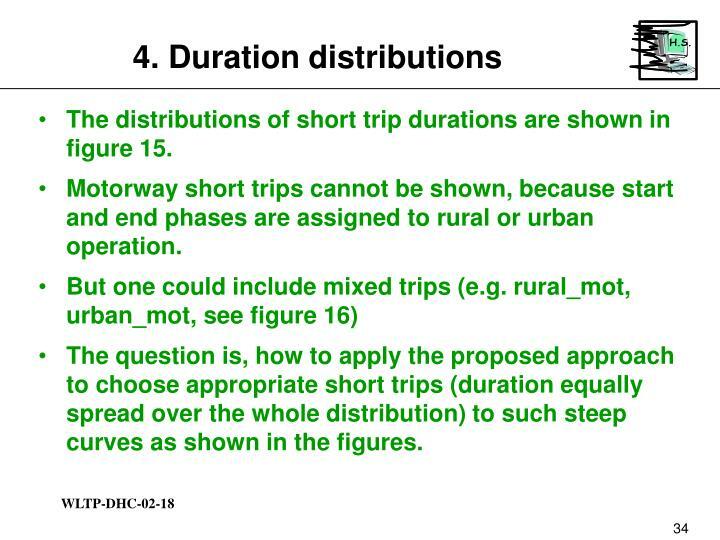 Motorway short trips cannot be shown, because start and end phases are assigned to rural or urban operation. 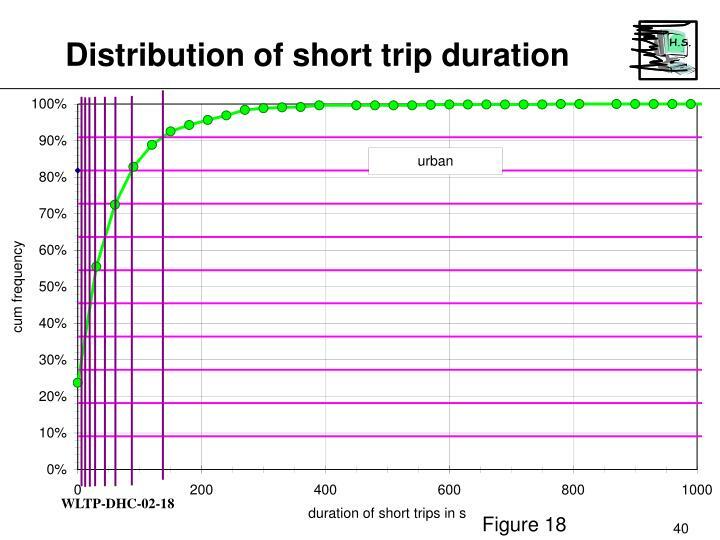 The question is, how to apply the proposed approach to choose appropriate short trips (duration equally spread over the whole distribution) to such steep curves as shown in the figures. 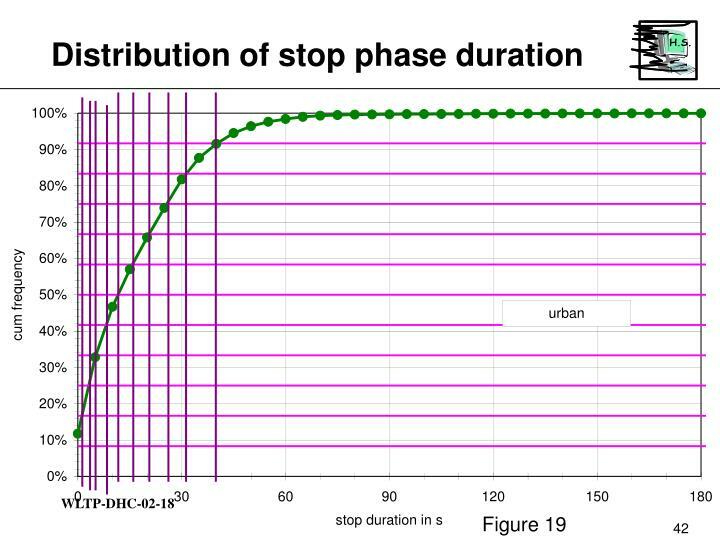 Figure 17 shows corresponding distributions of stop phase durations. 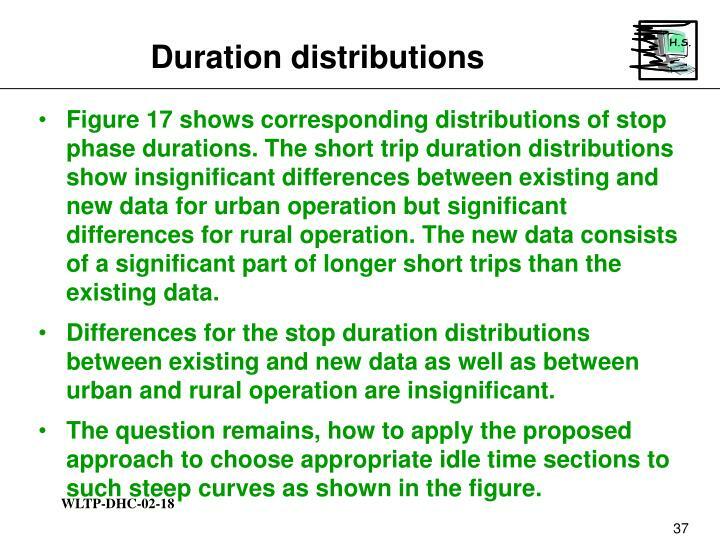 The short trip duration distributions show insignificant differences between existing and new data for urban operation but significant differences for rural operation. 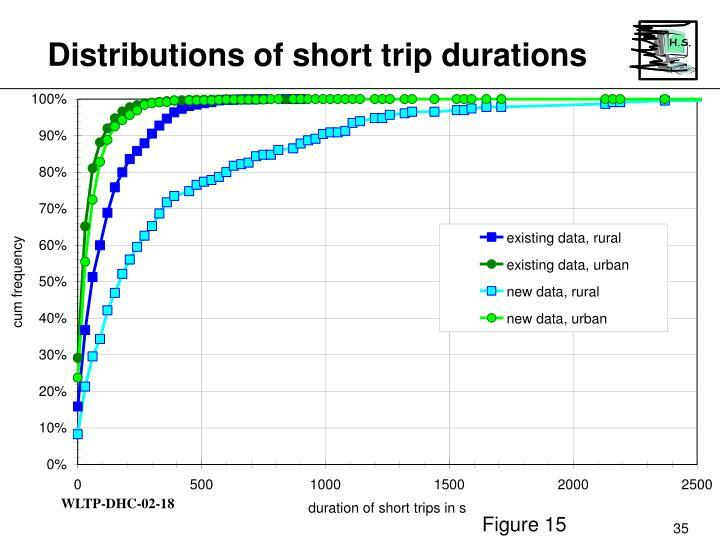 The new data consists of a significant part of longer short trips than the existing data. 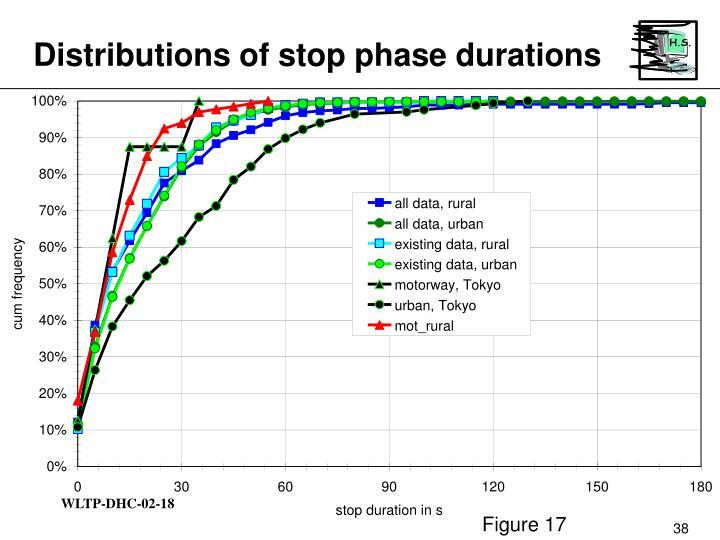 Differences for the stop duration distributions between existing and new data as well as between urban and rural operation are insignificant. 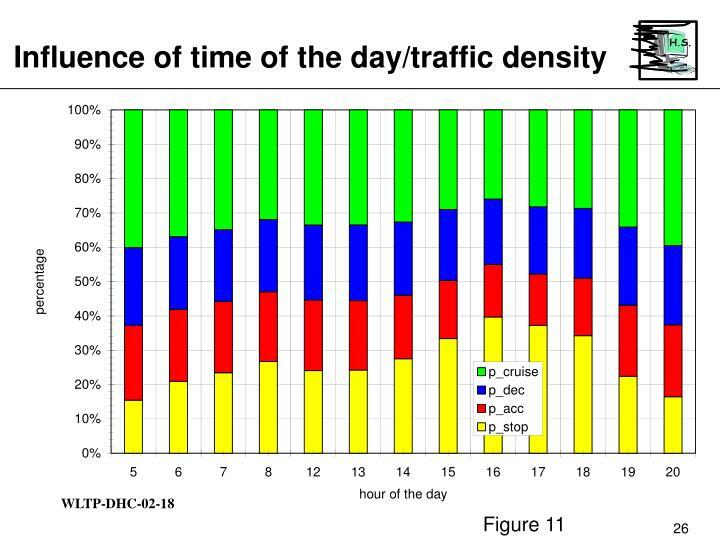 The question remains, how to apply the proposed approach to choose appropriate idle time sections to such steep curves as shown in the figure. 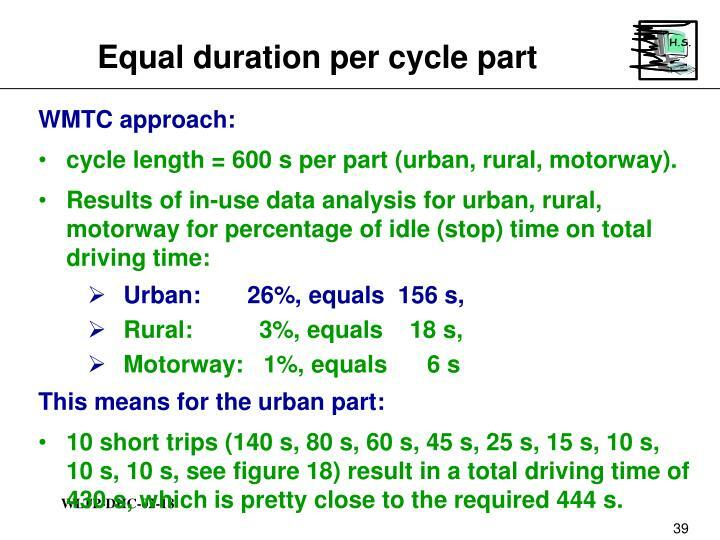 cycle length = 600 s per part (urban, rural, motorway). 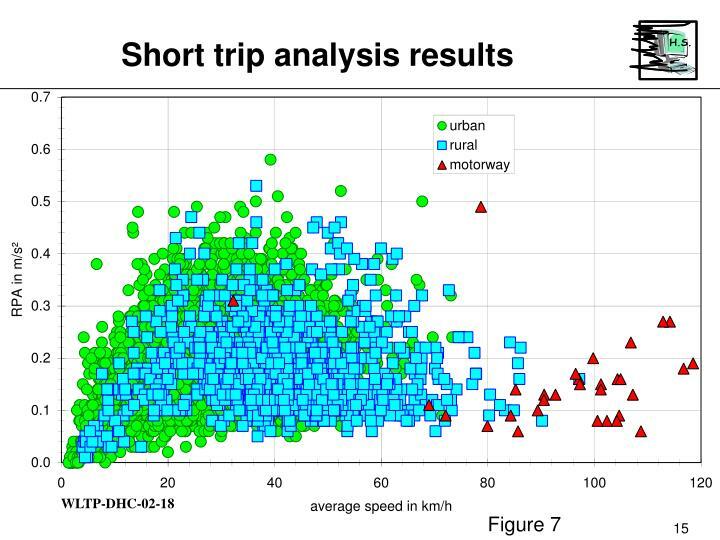 10 short trips (140 s, 80 s, 60 s, 45 s, 25 s, 15 s, 10 s, 10 s, 10 s, see figure 18) result in a total driving time of 430 s, which is pretty close to the required 444 s.
The same approach applied to the corresponding stop duration frequency distribution shown in figure 19 requires 11 stop sections which together add up to 174 s, which is also not too far away from the target idling time. 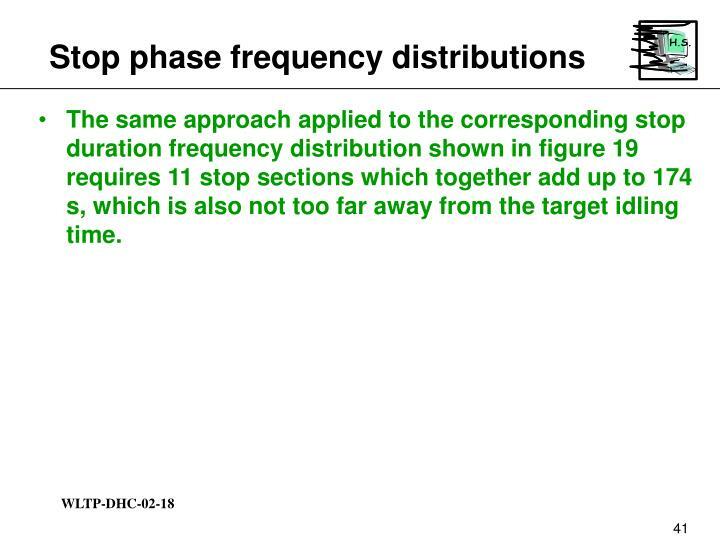 The trip percentage of 97% or 582 s cannot be fulfilled (see figure 20). 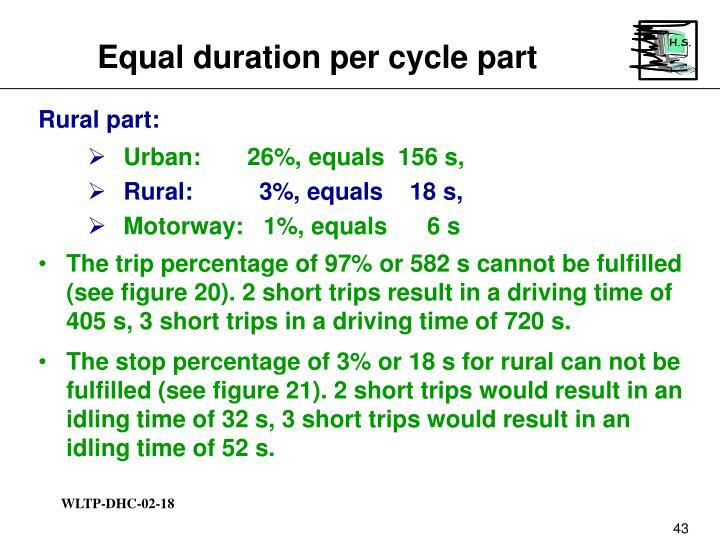 2 short trips result in a driving time of 405 s, 3 short trips in a driving time of 720 s.
The stop percentage of 3% or 18 s for rural can not be fulfilled (see figure 21). 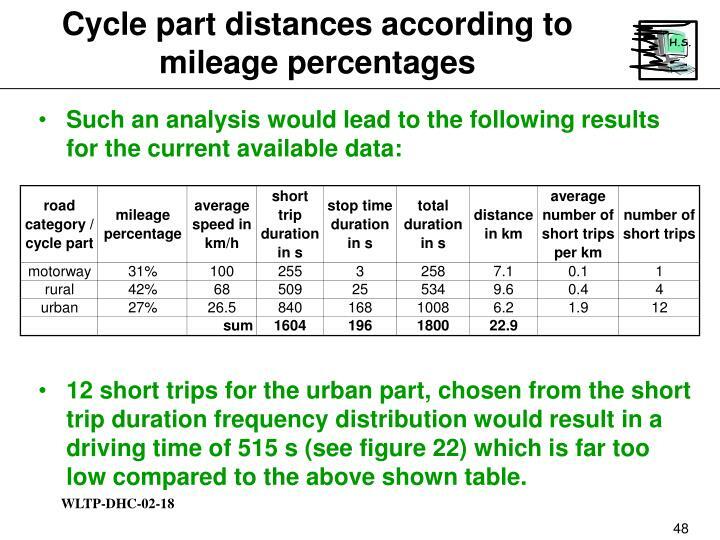 2 short trips would result in an idling time of 32 s, 3 short trips would result in an idling time of 52 s.
The distances of the cycle parts are chosen according to the total mileage percentage. 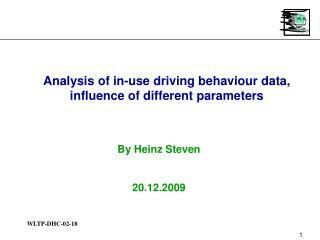 This approach has the advantage that the final result can be calculated without weighting factors. The stop time percentages are the same as for the previous example. 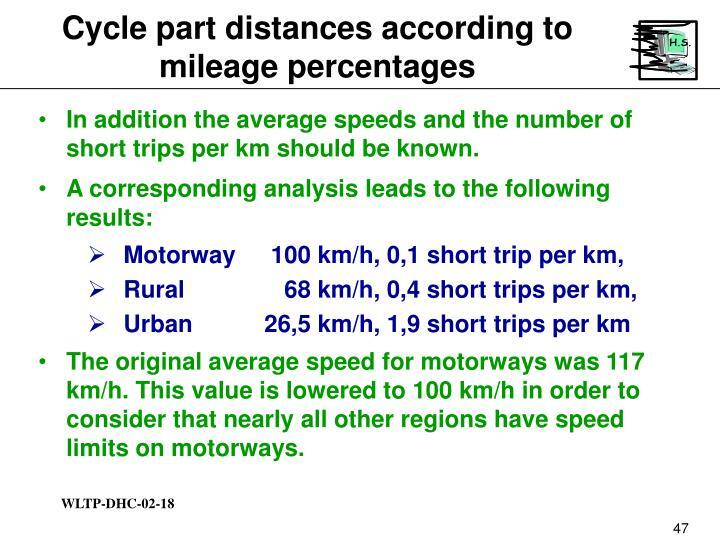 In addition the average speeds and the number of short trips per km should be known. The original average speed for motorways was 117 km/h. This value is lowered to 100 km/h in order to consider that nearly all other regions have speed limits on motorways. 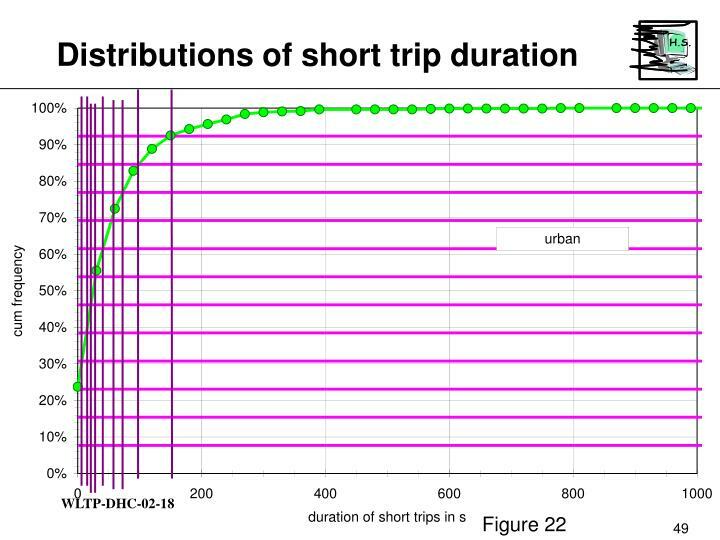 12 short trips for the urban part, chosen from the short trip duration frequency distribution would result in a driving time of 515 s (see figure 22) which is far too low compared to the above shown table. 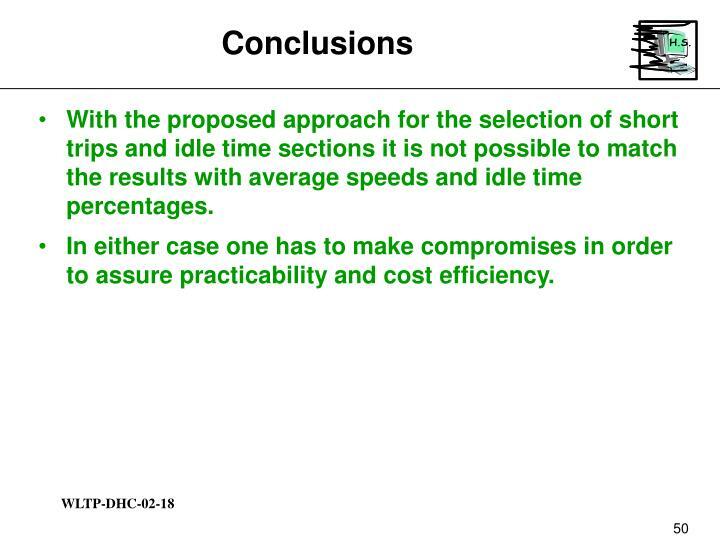 With the proposed approach for the selection of short trips and idle time sections it is not possible to match the results with average speeds and idle time percentages. In either case one has to make compromises in order to assure practicability and cost efficiency. 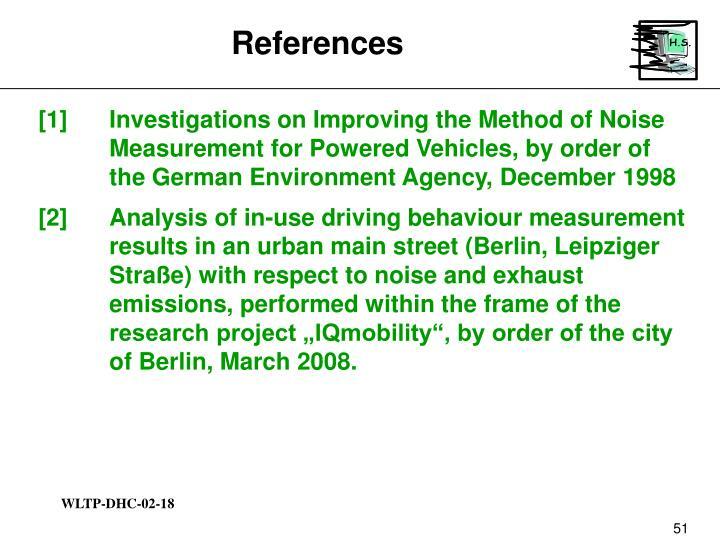 Analysis of in-use driving behaviour measurement results in an urban main street (Berlin, Leipziger Straße) with respect to noise and exhaust emissions, performed within the frame of the research project „IQmobility“, by order of the city of Berlin, March 2008.